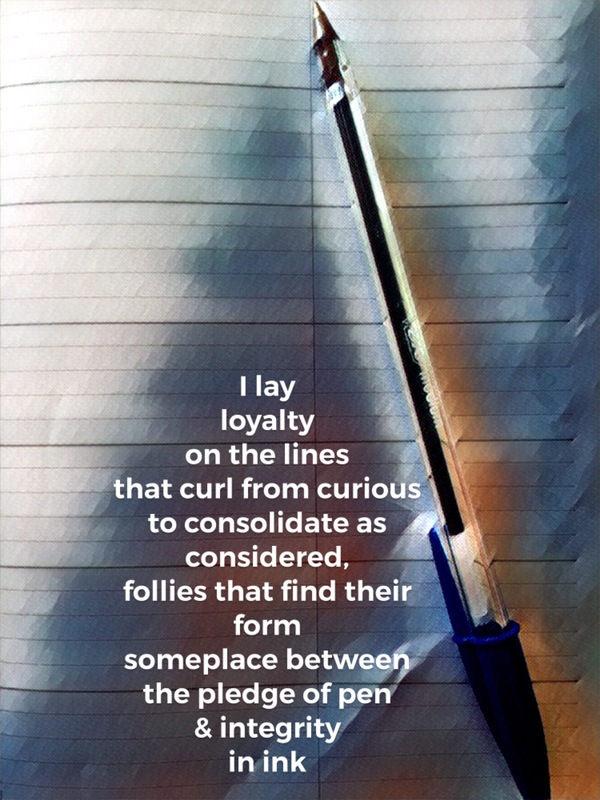 Enjoyed this poem and moved on but found the phrase “integrity of ink” lingering in my mind. I like this phrase! SO glad you’re back Dami… missed you while you were away. Please keep writing the words and picturing Paris. Thanx so much,!